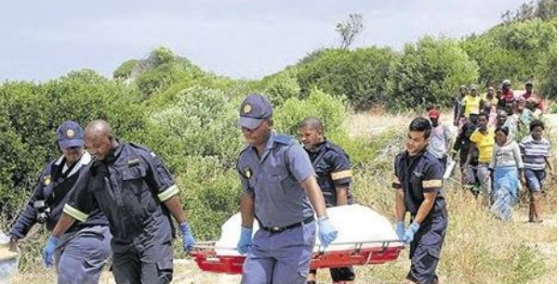 A South African pastor learned the hard way not to “beat God,” as he lost his life due to malnutrition after trying to breach the number of days that Jesus of Nazareth fasted for 40 days and 40 nights. In a determined bid to break the record, the cleric left home on June 17 for a nearby bush to spend his days in prayer, much like the Messiah did. His relocation was reportedly an attempt to focus his attention on God and to distance himself from material things. the 44-year-old pastor left home on June 17 for a nearby bush to have prayers, just like Jesus did. Attempting to equal or break Jesus Christ record of fasting for 40 days, Mr Alfred Ndlovu died just a month despite having no history of illness. He was alone in the wilderness and his body was found by a stranger who then called the police. He was known by his family and community at large as a very spiritual person whose faith could move mountains and his death surprised everyone, even church members. After a month of abstinence,the pastor’s unresponsive body was later discovered in the wilderness by a hunter, who then alerted the local police. Before retiring to the mountain, the pastor boasted to his members that he would break Jesus’ record, the report said. Many of his regular churchgoers believed that he could achieve the feat as he always displayed youthful exuberance beyond his age. “Pastor was a healthy and religious old man who did not even look his age,” his close relative recalled. Prior to his untimely passing, Ndlovu had no history of medical illness.